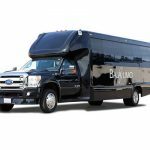 From the moment your staff sets foot on this coach and witness the sleek style and elegance they will know that your company truly cares about the comfort and happiness of their employees. 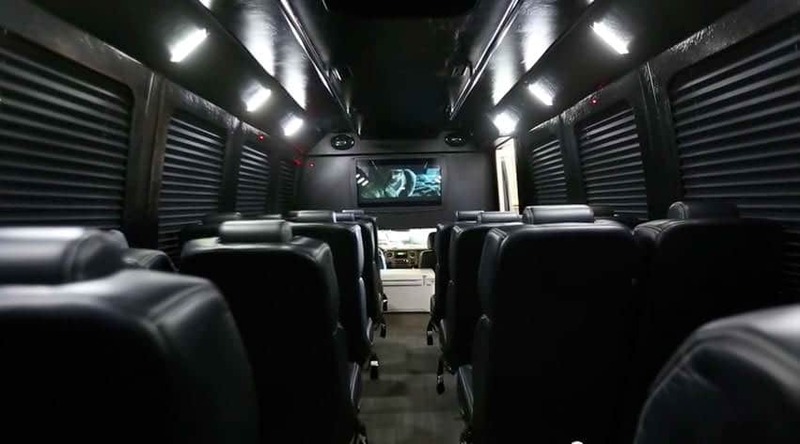 Some passengers have compared their trip in this wonderful corporate shuttle to what it must feel like to be invited to fly on a private jet. 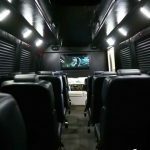 And for those longer journeys when you need a group distraction to help the time pass this vehicle has you covered as it is in a sense a mobile movie theater. 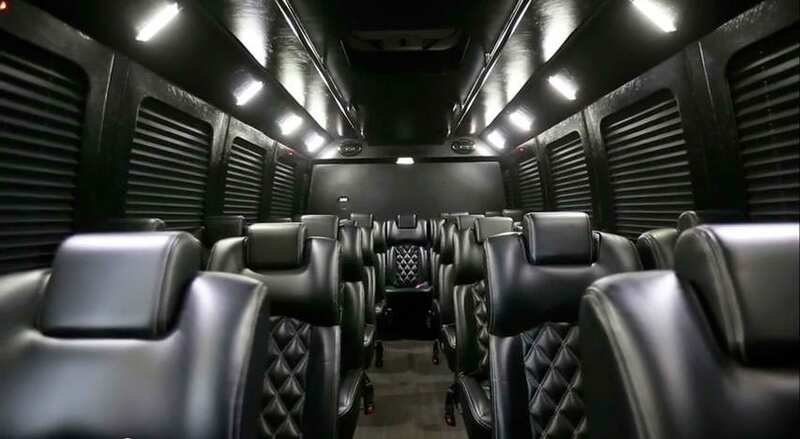 You have an amazing surround sound system and a nice large LCD mounted at the optimal viewing area and with the shades all drawn and interior lights dimmed you are in for a cinema experience unlike any you have had before. 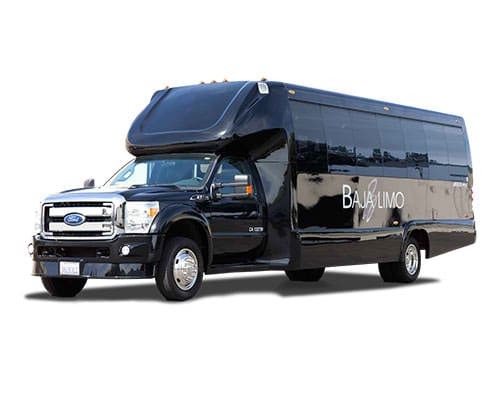 On a side note, should you plan to show a heartwarming tale do be sure to tell our amazing booking specialist when you make your reservation as we will do our best stock you with some tissues.